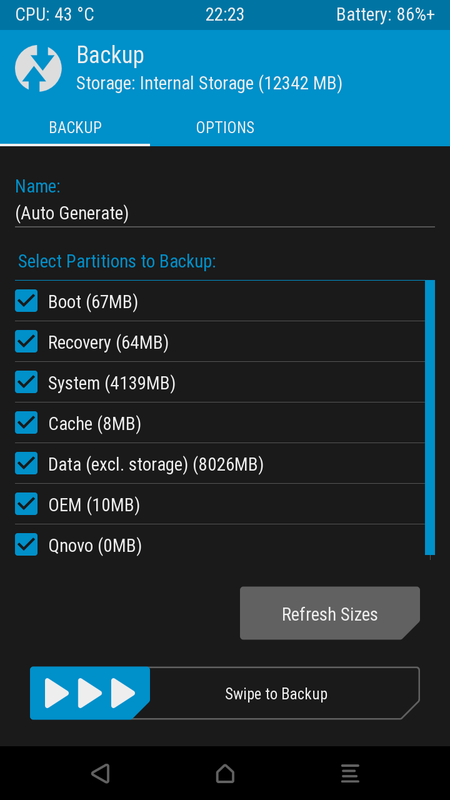 TWRP is the custom recovery used everywhere in Android. To boot into your freshly installed recovery, disconnect the USB cable, and then press “Volume down” and “Power” and keep both depressed until you feel the device vibrate. Then let go the “Power” keep, and still keep “Volume down” depressed. The notification LED should light up in purple, at which time you can let go also the “Volume down” key. After a couple of seconds, you should see the TWRP startup screen. First thing you should do before you start experimenting is backup your device. 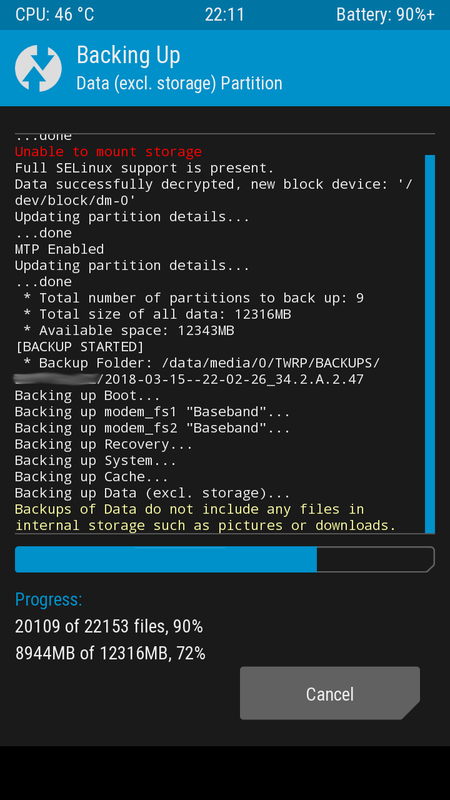 Since TWRP 3.1.x.x you can directly backup to your PC, instead to the device itself, which is very convenient for safety and space reasons. If you as an adventurous user want to flash stock firmware (i. e. original firmware supplied by Sony), you usually use a tool called “Flashtool” for maximum flexibility. This tool requires as an input for the actual flash operation so-called FTF files. These can be created by Flashtool itself, based upon the vendor flash files FILE_*. The vendor flash files can be downloaded with XperiFirm. Download suitable vendor firmware flash files with XperiFirm. It will automatically decrypt the vendor flash files. Now that you know your CDA number, you can use this to download a suitable firmware with XperiFirm. But you might also decide to intentionally download a different one, e. g. if you want to de-brand your current operator-branded firmware! An example would be to go from “Vodafone DE” to “Customized DE”, which is a vendor-neutral firmware. Hold “Volume down” and connect your phone to the USB port of your PC. The notification LED should light up first in red, then in green, and provided you have correctly installed the drivers for your phone, you will be able to use Flashtool or Emma to flash your device. Recent versions of Flashtool now integrate XperiFirm, and the whole process described above is fully automatic. Just press the XperiFirm icon (the right-most one in the toolbar) to download or (if already installed) invoke XperiFirm, then select and download your vendor firmware, close XperiFirm, and then Flashtool will continue bundling and flashing your firmware. Previous Post“Lifetime” (Map-Upgrade) kann ganz schön kurz sein… :-(Next PostIm Gigabit-Zeitalter angekommen!